In an announcement more appropriate to April 1st, Audi has laid down plans to re-designate the power outputs of all of its engines. However, since the numerical designations merely group together bands of power outputs, this is going to leave a lot of people scratching their heads. For example, the numeral combination “30” will appear on the rear of all models with power outputs of between 81 and 96 kW (110PS and 130PS). And “45” represents power outputs of between 169 and 185 kW (230PS and 252PS). 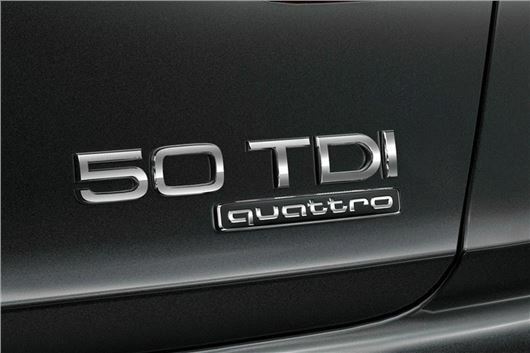 In each case the numerals appear along with the engine technology indicator – TFSI, TDI, g-tron or e-tron. The number combinations identifying the performance levels in the Audi product range increase in increments of five, and they represent the hierarchy within both the respective model series and the brand’s overall model range. According to the new nomenclature, the spectrum will initially range from the Audi A1 25 TFSI with 70kW (95PS) to the Audi A8 55 TFSI with 250kW (340PS). A special place in the line-up is occupied by the high-end, high-performance S and RS models and the Audi R8. They will retain their classic names in reference to their top position in the model range. Audi justifies this with the statement: “As alternative drive technologies become increasingly relevant, engine displacement as a performance attribute is becoming less important to our customers. The clarity and logic of structuring the designations according to power output makes it possible to distinguish between the various performance levels,” explains Dr. Dietmar Voggenreiter, Board of Management Member for Sales and Marketing at AUDI AG. The changes will begin with the new Audi A8 in the autumn of 2017. First among the two six-cylinder engines to be redesignated will be the 3.0 TDI with 210 kW – as the Audi A8 50 TDI, and the 3.0 TFSI with 250 kW – as the Audi A8 55 TFSI. In the coming months, all Audi model series launched on the market will be assigned the new performance designations beginning when they are offered for sale. Audi will change the designations of the remaining model series in the current product range in time for the new model year changeover in the summer of 2018. A pretty good illustration of the influence of Tesla. Back to the days of Audi 80, 90, 100 almost. Not really, the 80, 90 and 100 were model ranges, this is about engines, so you could find yourself next to three Audis of completely different size, shape and mpg - all labelled "40". Rather than re-arranging the deckchairs on the SS Volkswagen they should be finding ways of repairing the hole below the waterline that Diesel gate created. Is their ship REALLY unsinkable or is it just Teutonic arrogance that's keeping it afloat ? Why not just take the first two digits of the actual power output? 3.0 TDI with 210 kW – as the Audi A8 21 TDI, and the 3.0 TFSI with 250 kW – as the Audi A8 25 TFSI. That would seem to make more sense - assuming power is everything and you want to wave your power output in front of everyone else? What a silly thing to do,it will confuse,and possibly deter people from buying this brand of vehicle. Why does the engine output/displacement need to be displayed on a car? Other than for bragging rights and vanity?